Overall I did not find the Metrodome too bad of a place to watch baseball, however, it does have some unique accessibility things to note. 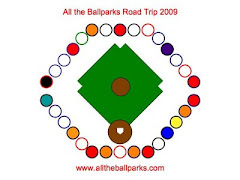 Let’s start with parking since that is the first thing we do at a ballpark. We found parking right across the street in the Dome Parking garage. However, there we got the last of two handicap spots that were on level one. Perhaps there were more on the second level, but boy was that a surprisingly few amount. At least it was convenient to the park and it had a large elevator. Next going into the park is pretty easy to figure out as the gate for wheelchairs to enter is clearly marked. However, actually getting into the park is not as easy as it seems. You would think I could just open the door next to the revolving door and Dad push Mik through while I held it open, but no the usher insists you go through this odd set of doors. We go through the first set of automatic doors and then stand between the two yellow lines while the first set closes and then you can push the button to open the second set, but be careful and listen to the instructions or you end up being the idiot (DAD!!!!) that pushes the button that reopens the doors you just came through. Thus you then have to again wait for those to close and then finally end up with the correct button pushed and the doors in front of you opening, so you can finally five to ten minutes later finally end up in the park. After that thankfully it was very straightforward to find the elevator to get up to the level we had seats on and there we had a friendly elevator operator. Then we found our section right after we got off the elevator. We get to the seats and they seem fine with them being in front of the section and the bar in front being in an okay position that does not block the sight much. Mik even got excited that the wheelchair spots have cup holders and me and dad in the regular seats have no cup holders, as you only get them in the regular seats if you are behind a row of seats since the cups are attached to the backs of seats only. Mik soon ended up getting really obnoxious and pissed because another wheelchair arrives and sits in the spot next to him. He felt crowded, as this was the first time he had a stranger sitting next to him and similar to the annoyance of the standing people crowding him at the Dodger game. Such is the luxury he has had so far in the handicap section with at least always having one of us on each side and not having to sit next to a stranger until now, but that is no excuse for his rude behavior. Now having someone next to him is not something I consider an issue in most cases, however, in the end it actually was an issue because in order for Mik to leave his spot the person had to move and then some musical chair sort of movements had to be orchestrated for Mik to escape to the concourse. This is what I found unacceptable about the accessible seating. At least the people with the lady were friendly about getting the lady and her wheelchair out of the way when necessary. I just do not think it is something either party should be inconvenienced with and it certainly could get annoying for either party or both if it had to take place during game play. Let’s hope the seating situation is straight pull in at the new Target Field since that place was built for baseball. Also, not sure if this is how it is on the lower level, but honestly I only saw one little section of handicap seats on the lower level right down by the field, so almost all the handicap seating is like this in the upper level. It works if only one wheelchair is there, but since it was Strike Out Stroke Day almost ever section had two wheelchairs in each of the spots. Now I do overall rate this the least accessible park so far, but I do not mean to say it is a bad experience, especially since there is lots of potential and hope for a Twins game to become a very accessibly enjoyable experience starting next season. I just think that without the thought of there for sure being a new stadium next season it would seem like a way worse situation that was not being dealt with.